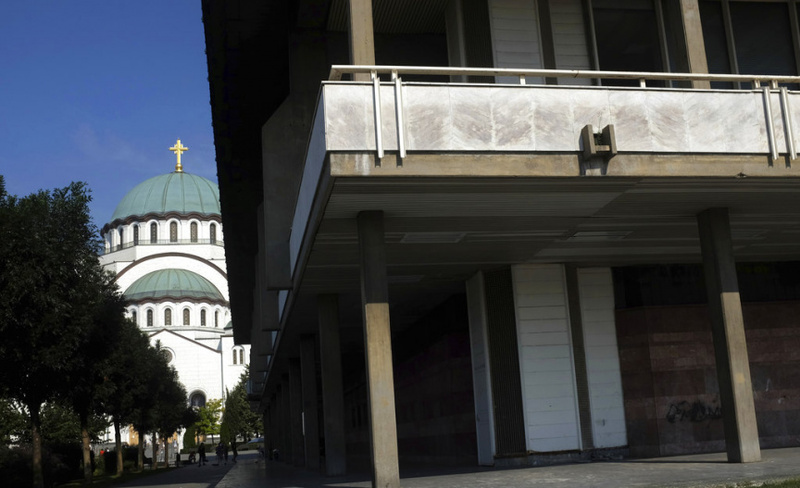 BELGRADE, Serbia (AP) — A poisonous gas leak killed two men Friday at the National Library in the Serbian capital, Belgrade, police said. An emergency team was sent to the building in central Belgrade after the leak was detected and sealed off the area, police said. Some 50 people had been evacuated from the library building after a heavy gas smell emerged. Belgrade media said carbon dioxide leaked as the two victims, both maintenance workers, were testing the building's firefighting capabilities. "It's clear that they died from gas poisoning; whether its carbon dioxide or some other gas will be determined by the investigation," said Culture Minister Vladan Vukosavljevic.